Q: Hi Seb.. Can you tell us a little about yourself? A: I was born in Cambridge, UK. I have quite a few musical AKA’s…..I guess the most active of which are/have been Kaya Project, Digitalis, Shakta, Angel Tears & Hibernation. There is also Foxglove, Subterfuge, Chaos by Design, Biotone, Radiate….er…& some other lesser known names. Q: Where are you currently based Seb? A: I’ve lived in London for the last 18 years. Q: What have been your musical influences growing up? A: As a child I’d have to say it was mainly movie soundtracks….& one composer above all others was John Barry. I feel pretty lucky that most of my childhood film memories were scored by him. His musical progressions still move me, no matter how simple they might seem. John Williams is another obvious figure. I wasn’t from a Particularly musical family & have had no formal training in music, I’m completely self taught. Q: What was the main inspiration early on for you to start creating music, and can you remember when you created your first track? A: It never really crossed my mind until I was 16. Up until that point I’d been obsessed with Graphic Novels & Comic Art, and that was all I ever dreamt of doing. People like Glenn Fabry & Alan Moore were my heroes. I did start botching together some remixes with two cassette decks before I realised what I was doing and programming some simple melodies on my ZX Spectrum, but I never considered that music would become my life. I think the turning point was discovering the heavier side of industrial & thrash metal (Nine Inch Nails, Ministry, Lard, Sepultura, Death). I picked up an old nylon string guitar (with 2 strings on it! ) and started badly mimicking the riffs I was hearing. From that point onward my obsession with drawing & comic art was completely replaced with an obsession for creating music. I used to draw every day and I haven’t really drawn or painted since that moment! It was also around this time that Rave and Party Culture was sweeping England, so it wasn’t long before I was discovering bands like 808 state, Aphex twin and of course Eat Static. Not long after that I moved to a shared house in London, where I met a couple of very influential figures in my musical life, Jim & Alan. I saw what they were doing in the basement with a couple of Atari Computers, a Sampler and an assortment of Analogue Keyboards and knew that was exactly what I wanted to do! That was a very pivotal moment for my musical life and direction. So I bought a knackered second-hand Atari St & slowly started piecing together some basic equipment: Old sampler, drum machine etc. Of course it’s easier these days, a half decent computer is really all you need to get started. That was the start of me locking myself away in front of a computer screen for 14 hours a day! and loving every minute of it. All of those new electronic music influences were fusing with my love of movie soundtracks, Middle Eastern & Indian music. That melting pot of styles is definitely reflected in much of my music today, especially in Kaya Project material. A: I’m lucky to have two great labels behind me for the upcoming Hibernation & Kaya Project Releases. Interchill Records in Canada & Aleph Zero in Israel. 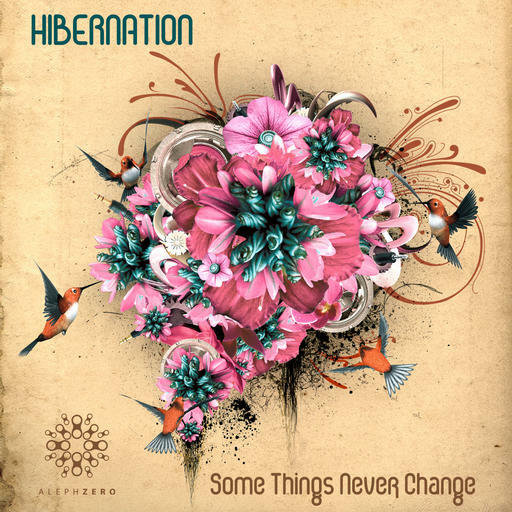 Hibernation (on Aleph Zero Records) is definitely the most electronic of those three that you mentioned. Delving into more experimental territories, while Kaya Project (on Interchill Records) and Angel Tears are distinctly World Flavoured Acts. Kaya Project is mainly myself on Composition duties, whereas Angel Tears is mainly the project of Momi Ochion, who lives in Tel Aviv, Israel. Both projects are more than the sum of their parts, with at least 20 or 30 musicians from all over the globe contributing to the seven or eight albums that have been released under the Kaya Project & Angel Tears names. Those projects have been seeing a much greater exposure to the public than any of my other projects, mainly thanks to a string of TV and Film licenses on channels like HBO & Showtime in America. Q. Hibernation is your newest project. Can you tell us more about it? and how the Album on Aleph Zero came about? A. Shahar (who runs Aleph Zero along with Yaniv Shulman) would occasionally visit us while we were recording Angel Tears material in Tel Aviv, that’s where I first met him. I had previously written a track for their Midnight Soul Dive compilation and when they were thinking about artist albums they asked if I would consider writing one for them. Of course I said Yes! It was extremely satisfying having an opportunity to mix many different electronic genres into one melting pot and the resulting album has ended up with elements of Chill, Glitch, IDM, Breaks, Dubstep, and other ambient electronica Influences. I’m really happy with how it all came together and how the final Album sounds. It’s always exciting getting to explore fresh musical territory. Q: It’s unusual that all three act names have new albums out practically at the same time. Can you explain? 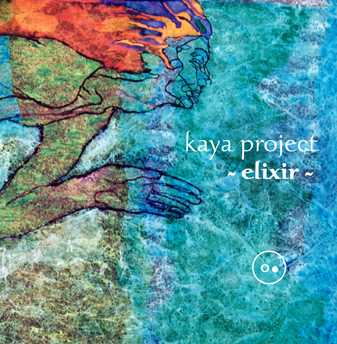 A: The last album I released was “Elixir’ by Kaya Project back in 2005.. I spent the last couple of years concentrating on Documentary scores and TV Commercials (for people like BBC Television, DELL Computers, Burton Snowboards & Estee Lauder among others) & i guess those 3 albums were all just slowly bubbling away under the surface all that time, only to emerge into the world almost simultaneously! it certainly wasn’t planned that way. Q: Can you remember when and where your first gig was and also how did each of your projects begin and what was the inspiration behind them? A: Well my first ever gig was at a Local Rock Competition in a death metal band when I was 17 or 18. Ah, those were the days, ha ha! Digitalis was the first Electronic Music Project I played under. It was (and still is) very much a breakbeat influenced sound. I was playing at a club called Space Hopper alongside people like Mark Allen, Tsuyoshi & James Munro. 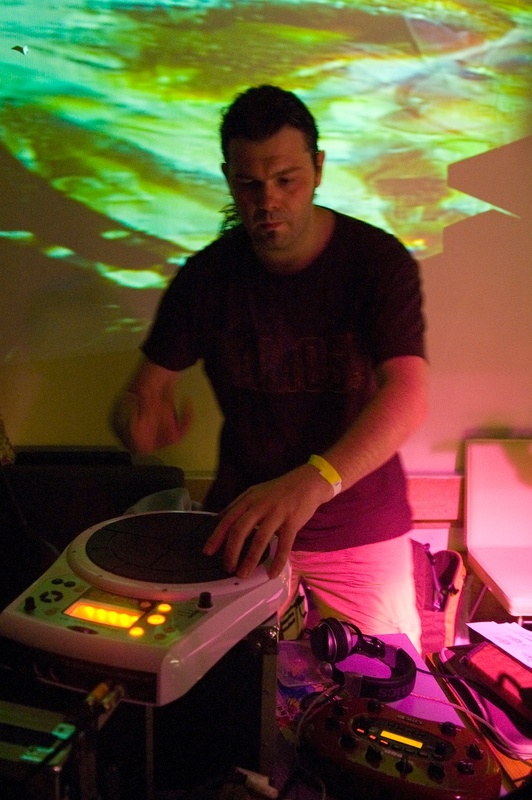 This eventually led to Digitalis being signed to Tsuyoshi’s Label ‘Matsuri’ and also to the the creation of a new project “Shakta’, which was very much a psytrance project. When Shakta was exclusively signed up to Dragonfly in 97 I had to come up with a new name if I wanted to release on any other Label, and ‘Somaton’ was born. I also had a couple of other side projects like ‘Chaos by Design’ on 21:3 records and Biotone on Inspiral/Indica (These were more drum & bass / big beat influenced projects). By 1998 Shakta had pretty much taken over all my other projects and I was gigging around the world on a very regular basis. After playing in Israel, Zambia & Mexico I had met the people that were instrumental in forming the direction and concepts for the groups ‘Angel Tears’ and ‘Kaya Project’. Namely, Momi Ochion, Irina Mikhailova, Nick Edell (Interchill Records) & of course Natasha Chamberlain who has composed and performed much of the music with me on many of my downtempo projects. Natasha is very much a talented musician and vocalist in her own right, having recorded with Tim Healey & Nick Tripswitch among others. We also have 2 more side projects together, Foxglove & Subterfuge. People ask why I have so many different names, and the answer is that originally it was actually a contractual necessity, but apart from that, I do find it easier to compartmentalize the creative process into different projects with some sense of sonic boundaries to them, rather than have a completely open canvas. The danger with Open Canvases it that it’s easy to become stuck with ‘option paralysis’. I find a few boundaries and self limitations can actually help with the productivity & direction. Q: Your career has taken you all over the world. How do you feel when you play live to an audience? A: er…nervous. ha ha! No that’s not strictly true. I always feel nervous before playing, no matter what the size of the audience, (I have felt just as anxious before playing to 50 people as I have to 15,000! ), but once on stage the adrenaline kicks in and the nerves quickly disappear. Q: What equipment do you use when playing live Seb? A: Whenever we’ve played live as Kaya Project (in London, Japan & Australia) it has been 50% live instrumentation & 50% laptop playback, with the Laptop providing the basis of the tracks (beats, bass & other sequenced elements) & live flute, vocals, tzoura & percussion mixed in with Laptop sequences. It was essentially myself and Natasha on stage with guest performers such as Irina Mikhailova on vocals or our friends Chester, Marco or Ryan from Oblique Industries on Percussion duties for example. 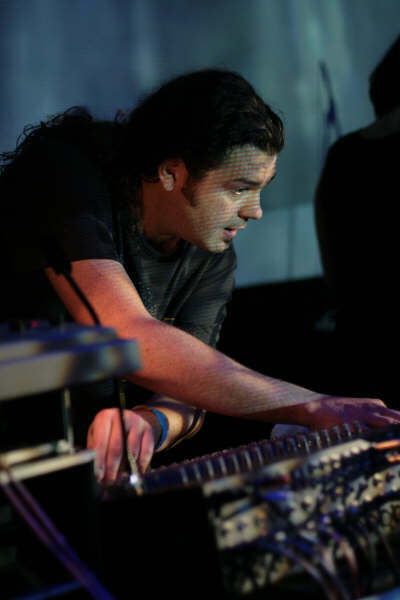 I’ve been through all manner of Live set-ups through the years, ranging from a full band in my early days, to basically carrying a studio around to venues (including Atari ST computer, mixing desk, Keyboards & a rack full of equipment) and then to the opposite extreme with simply a Laptop on stage. These days, the main drawback for me is the time it takes to prepare and rehearse anything half decent for a live show. I guess if I only had one main project it wouldn’t be a problem, but I usually have something like 10 different projects on the go, and live preparation would mean sacrificing some studio creation time for other projects. It’s fair to say that hiding away in the studio is where my heart really lies when it comes to music. Much more so than performing. Q: You shared earlier how you used to love comic art as a child. How does visual art fit in to what you do these days and why? A: Well, I’m certainly very inspired by Visual Art. I will often go to photography or Art Exhibitions if I’m in need of some inspiration. Might sound odd, but that often leaves me much more musically inspired than actually listening to music. As for album covers, the Kaya Project covers are definitely an integral part of the project, all done by the same artist Suzanne Brady, & reflecting exactly the vibe of the whole concept. An organic hand-made quality that is often lost in completely computer generated artwork. Q: What are your plans for the future Seb??? A: Well, there are no imminent Gig plans, and I seem to be getting back into guitar playing recently, as well as re-visiting the darker side of music, so that may be where the next project emerges from. I was also getting quite excited by some of the Dubstep releases over the past 4 or 5 years. A wise producer (the one & only Youth from Killing Joke) once said to me that switching between Musical genres is like ‘Crop Rotation’. By the time you work back to an old genre your mind is fresh and fertile for it again. I feel like it may be time for a break from the Uplifting World Music influences for a while, and I got a lot of the breakbeats out of my system with the recent Digitalis releases on Sinister recordings & Sound of Habib. I’m sure I’ll be working my way back to those sounds, but I may be going through some other darker genres beforehand. I’m pretty intrigued to see where my muse is going to take me. 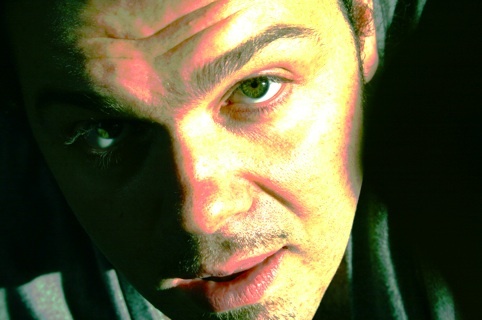 -Interview with Dan Crossley (Fluid Radio).